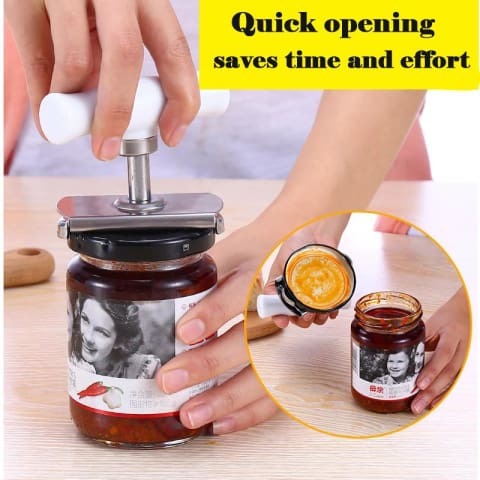 With this Adjustable Cap Opener, you can EFFORTLESSLY open the TIGHTEST jars & bottle caps within seconds! 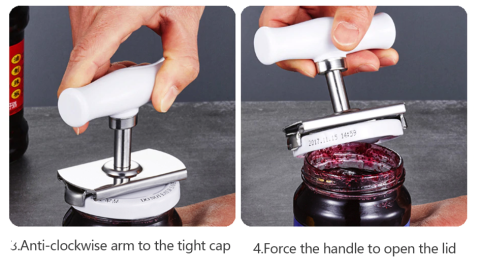 This tool opens your jars by simple twist with adjustable opening mouth - Adjust to fit most jars! Our Helping Hand makes the opening even the tightest jars effortless. The jar opener is adjustable to fit most jars. Simply insert it over the jar lid and twist the handle to open. It's quick and easy! This will be good for your rheumatoid arthritis. Due to high demand on this one of kind item, please allow 2-3 days processing time, and 7-15 business days for delivery. 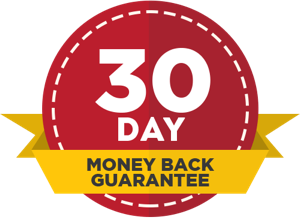 Buying online can be a daunting task, so we want you to realize that there is absolutely ZERO risk in buying something and trying it out. If you don't like it, we'll make it right... It's our promise!